Fogler Library Government Publications Department is located on the first floor of the library adjacent to the Information Commons and the Collaborative Media Lab. It is a regional depository for U.S. Government publications. We are a selective depository for Canadian, and we have United Nations documents. For many federal, state, and Canadian documents you may search URSUS for our holdings. 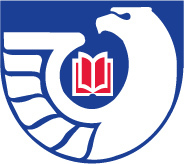 A United States Government Publications Depository since 1907, the University of Maine Library has been a Regional (complete) Depository since 1963 -- the only such in Northern New England. Of the 1100 Federal Depository Libraries there are only 50 with this distinction. Also the Library is an official depository for Canadian federal government publications, making it one of only forty such depositories on US soil, and therefore also one of the very few bi-national depositories in the country. Over 2.3 million government publications comprise the collection, some even dating back to 1789. Their formats include: hardbound book, paperback, map, poster, microfiche, audio and videocassette, floppy disk, CD-ROM and DVD. As the century began, the US federal government gave a big push for transition to issuing nearly all new government publications in digital form. So 313,076 more are now accessible online via links in our online catalog URSUS. And even past websites of agencies are available atCyberCemetry. Major strengths of this collection include: aquaculture, census information and demographics, earth sciences, foreign relations, forestry, international commerce, marine studies, political science, water resources, and wildlife. Fogler is also a Census Data Center Affiliate. Many are housed in the Department's Open Stacks, Microforms Areas, and Map Area, all on the first floor. The rest are in closed stacks or the Library Annex, but can be paged on demand from the Reference Desk. Almost all documents published after 1975 are cataloged in URSUS. Documents that are not published, whether authored by official bodies or not, and that are unique or of very limited distribution, fall in the domain of archives rather than of libraries (though libraries may acquire microfilm or other reproductions of these.) Two important archives in our state are the Special Collections Department of this library and the Maine State Archive. Archived US and Canadian federal documents are the responsibility of the National Archives and of the Library and Archives Canada/Bibliothèque et Archives Canada respectively. Service hours are the same as the Reference Desk. Some publications are available in the self service government publications stacks and microfiche cabinets whenever the building is open. Librarians in the Reference Department provide assistance in identifying and locating U.S. government publications. If additional help is needed, please contact 207.581.1680.